It has been a summer of discontent for Robert Pattinson. Since his longtime girlfriend and “Twilight” co-star Kristen Stewart was photographed in intimate poses with another man a few weeks ago, the heat on his life has been daunting. “It drives you nuts,” he says of all the hoopla. “It’s just nuts. “I don’t know how I cope with it. I really don’t know,” he says in a good-natured voice. Last week he fended off countless questions about the scandal while making the media rounds to promote “Cosmopolis,” his new film with director David Cronenberg (“A History of Violence,” “Eastern Promises”). Through it all, he felt the love of his fans. The Twi-hards definitely have been Team Robert. 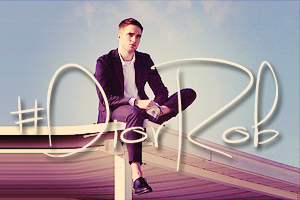 “I don’t credit that to myself,” Pattinson says. “It’s just that there is something elemental about the ‘Twilight’ books and the movies. The core story has connected to people. By now he should have developed an attitude — if only he knew how. “I want to change. I can’t make myself change. 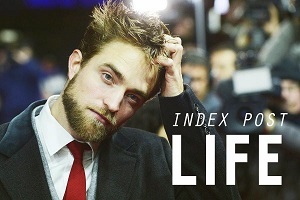 I can’t develop an attitude,” Pattinson says with a goofy giggle that is his trademark. In “Cosmopolis,” based on the novel by Don DeLillo, Pattinson plays a 28-year-old financial whiz kid and billionaire asset manager whose world is exploding. He gets into his stretch limo to get a haircut from his father’s old barber while wagering his company’s massive fortune on a bet against the Chinese Yuan. His trip across the city becomes a journey as he runs into city riots, various visitors and intimate encounters. Filming in a limo for so long wasn’t claustrophobic. “I actually kind of enjoyed it,” he says. “In the beginning, I wanted to stay in the car for the entire day. But it was so unbearably hot. I couldn’t really do this method. This fall, he plays vampire Edward Cullen in “Breaking Dawn — Part 2,” meant to be the final installment of the “Twilight” franchise. Fans of the series are about to enter the depression zone, and Pattinson offers some words of hope. “I’m sure they’ll have a ‘Twilight’ TV series spinoff soon. They’ll do it again,” Pattinson says. Would he ever play Edward Cullen again? “Who knows?” he says. “The only thing that creates a little bit of a problem is that I’m supposed to be 17 forever. “I’m not sure I can be 17 forever,” he says with another giggle. He is excited to see what the future holds for him in Hollywood and elsewhere. Ask him what he knows about life at this point that he didn’t know when he was younger, and he giggles again. Rob just stay as humble and modest as you are. My mom use to say people don't change, but an object such as money can make ones true character show. There is such thing as.change. Really its all about growing and being you. Its trials and tribulations that we learn from. What we experience in life is what we pretty much become. Keep doing what you love to do, be yourself and you can get through anything. Rob seems like a great guy and the best part is he seems real. Keep it up. Ron is very humble and modest,I like that.He is not letting on about anything and I think that's for the best,as we go through life we learn what we like and what we don't like,it makes us who we are and it's our strength.Thank you Rob for this interview and If they do make a Twilight tv show you and Kristen and all the other great cast better be in it lol,love you both!!!! I have a man who would do anything for me and in the 9 years we have been together and I get bored or feel like my growth is at a stalemate I remind myself he is one thing I better not F*ck with. The kids are a solid backup on that one.